Ohio personal injury laws vary from other state's injury laws. Below are the most common personal injury laws in the state of Ohio. Understanding your compensation rights and getting the help of an Ohio attorney is your first step towards filing a successful Ohio personal injury claim. The Ohio statute of limitations for filing personal injury claims for bodily injury is 2 years; other cases must be filed within 1 year. Plaintiffs in a medical malpractice case must give notice to the defendant within1 year from the injurious action (talk to a medical malpractice lawyer for more information). If the case is due to a foreign object it must be filed within 1 year from the date the object was or should have been discovered (up to a maximum of 4 years). Product liability claims in Ohio must be filed within 2 years. These statutes for Ohio claims are subject to change, contact an Ohio injury attorney for definitive statutes at the time of your accident or injury. Ohio uses a fault-based system for car accidents. Under this system compensation is paid by the guilty party's insurance company. Drivers may receive compensation from their own insurance company (who is then reimbursed by the guilty driver's insurance company) ,the other driver's insurance company, or they may file a lawsuit to seek compensation for damages of lost wages, medical expenses and property damage. Ohio is one of 21 states which follows a 51% bar rule. Under this system a claimant may not receive compensation for their losses if they are 51% or more at fault for their injuries. Compensation payments are also reduced by each claimant's degree of fault. Are there Damage Caps for an Ohio Injury Claim? 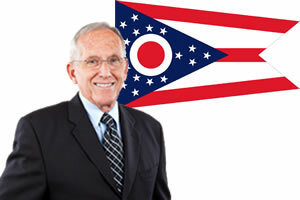 Ohio limits noneconomic Damages under Reform: AM Sub SB 80 (2004); ORC Ann. 2315.18. For claimants who have suffered a "non-catastrophic injury" caps are limited "to the greater of $250,000 or three times economic damages up to $350,000, per plaintiff, with a maximum limit of $500,000 per occurrence." Limits apply to all cases but medical liability cases.